State have until January 1, 2019 to establish standards for Electronic Visit Verification (EVV) for Medicaid-funded personal care services. States that fail to meet this deadline will lose an escalating amount of their Federal Medical Assistance Percentage (FMAP) funding. Because the clock is ticking, any states that haven’t already done so will need to decide quickly on the approach they want to take with EVV. The heart of the issue for states is whether they will adopt a closed-system or open-system approach. In a closed system, the state mandates the use a specific EVV vendor, while in an open system, the state establishes EVV criteria agencies must meet but allows agencies to select their own EVV vendor. Some states are also opting for a hybrid system, in which they provide a short list of acceptable EVV vendors from which agencies can choose. A handful of states are even delegating the decision to the Managed Care Organizations (MCOs) in the state. Broadly speaking, states are increasingly opting for open or hybrid systems. Closed systems dramatically reduce choice for agencies and can inadvertently force agencies to adopt less efficient workflows that can translate into costlier and riskier care. And given the shrinking window for compliance, a closed-system approach exposes states to considerable implementation risk as well. Whatever approach each state chooses, agencies will have to abide by those decisions – which means it’s important agencies weigh in and voice their preferences. Agencies can get involved by approaching the home care association in their state or region or one of the industry-wide associations, such as The Partnership for Medicaid Home-Based Care, NAHC, NHPCO, or ElevatingHome. Most of these local and national associations are actively holding conversations with their states about EVV and welcome agencies to join the discussion. With the launch of the MACRA Quality Payment Program (QPP) in 2017 and the final rule issued for physicians for 2018, CMS has ensured value-based reimbursement is here to stay. As a result, providers across the health care industry will have to step up the way they innovate, report on quality, and deliver better client outcomes. This is notable for many reasons, not least of which because health care has traditionally been delivered in silos, with multiple entities separately involved in the care of an individual. For value-based care to be successful, the industry will need to break down these silos, consider care from a holistic perspective, and facilitate communication across interdisciplinary care teams. In short, providers must be willing to invest the time and resources to improve the way they communicate with not just members of their own immediate teams, but with all the providers delivering care to an individual. And yet, the upside potential of value-based care is tremendous: the ability to deliver great care, with great outcomes, at a lower cost. Achieving this goal means figuring out how to deliver the right care, via the right discipline, at the right time, in the right place, for the right reasons. It’s the very basis of population health management, so there’s a lot on the line to make this work. The growing labor crisis in the home care industry has been well documented, and 60% of private care agencies identify care provider shortages as one of the top three threats to the future growth of their businesses. In non-health-care markets, labor shortages put upward pressure on wages, which in turn draws new entrants to the labor pool, which ultimately resolves the shortage. In the home care industry, however, reimbursements are not directly tied to market conditions – which frequently leaves agencies with little flexibility to increase wages. The labor crisis represents a systemic, societal, and even political issue that isn’t going away anytime soon. Enormous segments of the global population will need an increasing amount of care both now and in the years to come. But if fast food pays a higher wage than home care, why would anyone choose to enter this field? And yet, people won’t stop getting older simply because governments can’t figure out how to fund their care. This issue must be resolved, because time is running out. That said, agencies must still make decisions in the here and now as they struggle to cope with this reality. What practical steps can agencies take today to attract and retain high-quality staff? Does the agency provide plenty of training and the right tools for employees to be successful? Does the agency proactively communicate with employees about changes to schedules, care plans, or other important updates? Are caregivers able to easily create notes and comments for visits onsite, or do they have to spend precious time at home or in the office after hours completing their visit documentation? Are care delivery and back-office workflows streamlined and efficient, or cumbersome and time consuming? The best approach any agency can take to stabilize their staffing – regardless of the wages they are able to pay – is to create a work environment in which employees know they are respected. The growing movement toward person-centered care will continue to have broad implications for the home care industry in 2018 and beyond. With person-centered care – including self-directed care – providers focus on improving care quality and outcomes not only from a clinical perspective, but also from an emotional, spiritual, social, and financial perspective. In this setting, the individual and the provider become partners in care delivery. Because care is collaborative, communication must be timely and relevant so the individual (and their families, if needed) can fully participate in decision-making. The goal is to not only improve outcomes but also the experience for the individual, as well as to leverage the potential for improved resource allocation and reduced costs of care. However, by providing individuals with more control over their care, this also produces a tremendous amount of variation in care that the health care industry must still figure out how to manage. For home care agencies, because each care plan will be finely tuned to the individual, service exceptions will become the norm. Those agencies that have already streamlined their workflows and are operating at peak efficiencies will be in the best position to do well in this environment. Those that haven’t invested the time and resources to optimize their internal processes will likely find themselves at a disadvantage. Currently, there’s a lot of attention around the use of data to improve the quality of care. Much of the focus has been on using data to determine treatment protocols, and this has resulted in many positive improvements to care outcomes. In 2018, the next level will be to use data to improve the delivery of care, which will quickly improve operating margins. From optimizing schedules to automating manual processes, there is tremendous opportunity to use data to drive continuous improvements in workflow efficiency and staff productivity. However, this means agencies must be able to not only gather the right data, but also know how to analyze and use that data. After all, data itself isn’t the end goal; the end goal is to glean insights from the data and then use those insights to make better business decisions. Larger and even medium-sized agencies may be able to afford to hire staff with data analysis and lean expertise, but smaller agencies may not – which may make it difficult for them to capitalize on the full cost-improvement potential of lean operating principles. This may be an opportunity for the state, regional, and national associations to step up and more proactively share best practices, which could level the playing field and empower smaller agencies to stay more competitive in this new, data-driven health care landscape. After the tumult of 2017, the home care industry may be hoping for a relatively quiet 2018 – which unfortunately doesn’t appear to be on the horizon. 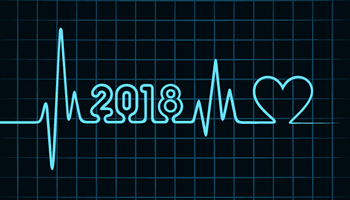 However, change isn’t always bad, and many of the biggest home health care industry trends in 2018 will be overwhelmingly positive. Overall, the big picture points to continued improvements that ensure home care dollars are spent more wisely. This in turn will enable limited federal and state funding to reach further, which will enable more people to receive the care they need. If agencies can be smart about how they adapt to these changing trends, they’ll be well positioned to deliver the highest quality care, at the lowest possible cost. But time is ticking, and 2018 is already upon us. The time to act is now! For more information on how CellTrak’s Care Delivery Management solution can help your agency be prepared for any scenario, contact us today.